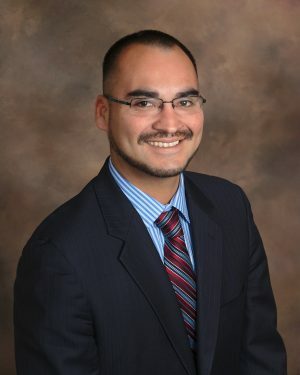 My name is Michael Benavides and I’m one of the leading bankruptcy attorneys in Santa Rosa. For only $900 in attorney fees I’ve helped hundreds of clients in Northern California eliminate debt through chapter 7 bankruptcy. To receive a free phone consultation call me at (707) 200-6688. Free Consultation: A free phone consultation with Michael Benavides can help you understand the pros and cons of bankruptcy. Credit Report: Don’t know who or how much you owe? No problem. Micahel Benavides can help you order a free credit report. One-on-one Service: You will deal directly with Michael Benavides throughout the bankruptcy process. Save Your Home & Car: Michael Benavides can protect your home and car in chapter 7 or chapter 13 bankruptcy. Save You $: Michael Benavides typically charges $900 for chapter 7 bankruptcy. How Much Does A Santa Rosa Bankruptcy Attorney Cost? Many articles have been written about how much bankruptcy lawyers cost. (Sacramento residents can read sacramentobankruptcylawyer.us/how-much-cost to find out how much a local bankruptcy attorney should cost.) A Santa Rosa bankruptcy attorney generally charges $2,000 to $3,000 for chapter 7 bankruptcy and $4,000 for chapter 13 bankruptcy. However, chapter 7 fees are usually due in full before filing, whereas chapter 13 fees are often partially financed through the chapter 13 plan. While bankruptcy lawyer fees often represent the lion’s share of the total cost of bankruptcy, they often do not include certain bankruptcy expenses. For instance, many chapter 7 bankruptcy attorney fees do not include the filing fee assessed by the Santa Rosa Bankruptcy court. If you look closely at your lawyer’s representation agreement you may notice that the filing fee is not included in the quote. Other costs in bankruptcy that may or may not be included in Santa Rosa bankruptcy attorney’s fees is the cost of the debtor education and personal financial management course. The cost of enrolling and completing these courses may not be included in a bankruptcy lawyer’s quote, so be sure to inquire before signing a representation agreement. Before you hire a bankruptcy lawyer for a chapter 7 or chapter 13 bankruptcy, be sure to determine the total cost of your case. Once you have identified and quantified the excluded costs and added them to the bankruptcy lawyer’s quote, you will have a reasonable idea as to the total cost of your bankruptcy. Bankruptcy attorney Michael Benavides charges flat fees to help clients predict the total cost of filing bankruptcy. As is common practice among bankruptcy attorneys some services are excluded from the flat fee. These additional services are not typically required and are identified in the chapter 7 bankruptcy representation agreement. For instance, representation in adversarial proceedings is excluded from the flat fee and charged to clients at an hourly rate. By excluding these infrequent services from the flat fees we are able to maintain reasonable fees relative to the generous time we invest in each bankruptcy case. To find out what your bankruptcy will cost call Michael Benavides at (707) 200-6688 for a free consultation. Why Are Some Santa Rosa Bankruptcy Lawyers Expensive? …but when a client hires a Santa Rosa bankruptcy lawyer because of an ad and sales pitch there are many hopes and few certainties. Instead of hiring a Santa Rosa bankruptcy lawyer because of their advertisement, hire an attorney because they started your consultation on time, listened to you with patience, and informed you of any difficulties that may arise in your case. Few chapter 7 and 13 bankruptcies are without problems. The ideal bankruptcy lawyer should carefully review your case during your meeting and alert you to any foreseeable negative consequences. When the attorney is honest with you and thorough in their review of your case, you may be better off hiring that attorney than the one with the gimmicky advertisement. Bankruptcy attorney Michael Benavides does not advertise. He keeps costs down and passes the savings onto his clients. To learn what your bankruptcy will cost call attorney Michael Benavides at (707) 200-6688. There are 2 questions you should ask yourself before searching for a cheap bankruptcy attorney. First, how competent are these cheap bankruptcy attorneys? If these bankruptcy attorneys are so good, why are they charging so little? Is it because they have low overhead and are passing the savings onto you? More likely than not they charge smaller fees because their services command smaller fees. If that’s the case, do you want them handling your bankruptcy? If you have a simple bankruptcy and few assets, maybe you do. A cheap bankruptcy attorney can achieve the same result as a skilled bankruptcy attorney if you have a simple bankruptcy. Since cheap bankruptcy attorneys charge less than skilled bankruptcy attorneys, but may nevertheless deliver the same result in a simple bankruptcy, their services can actually deliver more value than expensive but skilled bankruptcy attorneys. However, the more complex the bankruptcy the more you risk hiring a cheap bankruptcy attorney. The second question you should ask yourself is whether the cheap bankruptcy attorney is in fact cheap. Some bankruptcy attorneys will quote a fee that sounds good, but will have you sign a representation agreement that is loaded with hidden fees. What these “cheap” bankruptcy attorneys may quote is their actual fee as a lawyer, exclusive of filing fees ($335 in chapter 7), anticipated expenses and separate (but commonly required) services that cost $250 per hour. Suddenly the cheap bankruptcy attorney can become anything but cheap. With that in mind, ask every bankruptcy attorney what their quoted fee excludes and what your total cost will be in the end. All considered, it is not recommended that you search for a cheap bankruptcy attorney. Cheap bankruptcy attorneys may jeopardize your bankruptcy with poor communication, inexperience, divided practice areas, or inattention to detail. Bankruptcy is a powerful legal tool to discharge overwhelming debt and refresh your finances. Consequently, bankruptcy is not something to be taken lightly, and does not represent the time to save a few hundred dollars on a less than stellar attorney. You should be looking for a qualified bankruptcy attorney who charges a transparent fee. You should hire a bankruptcy attorney who has their act together and who adds value to your case by charging less than the estimated value of your discharge. The right bankruptcy attorney will take their time explaining the law to you during the free consultation, and will not pressure you to sign a representation agreement. Once you have found a Santa Rosa bankruptcy attorney like this, consider hiring them to represent you in your bankruptcy. You will probably fare better with this bankruptcy attorney than a supposedly “cheap” one.